Found one file extension association related to AGE3D UI Editor and 1 file format developed specifically for use with AGE3D UI Editor. 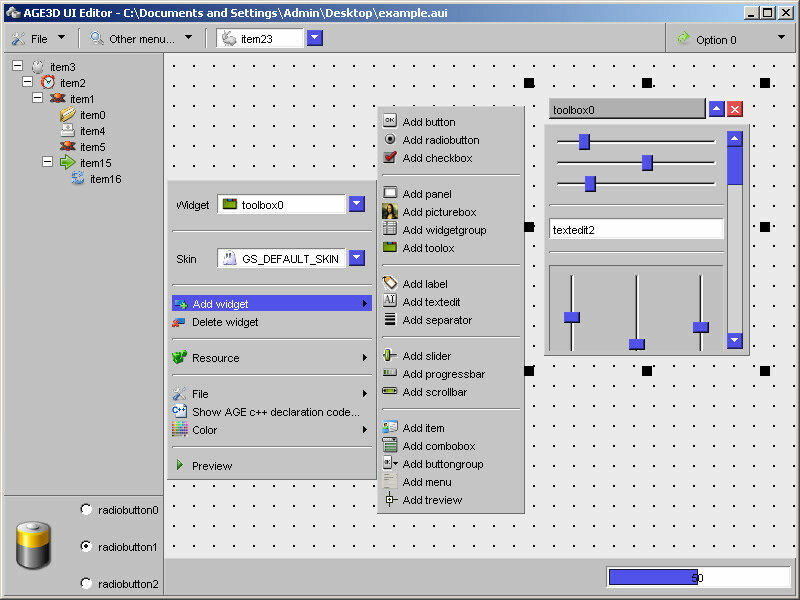 UI Editor is AGE's tool for designing and building graphical user interfaces (GUIs) from AGE components. It allows you to design and build widgets and windows using on-screen forms using the same widgets that will be used in your application. Components created with UI Editor can be previewed so that you can ensure that they will look and feel exactly as you intended. If you need more information please contact the developers of AGE3D UI Editor (AGE SOLUTIONS), or check out their product website.